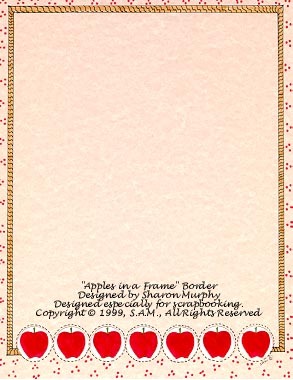 "Apples in a Frame" border. This Apple and Frame border is a border that I had designed using the apple silhouette punch along the bottom and colored the apples in. Copyright © 1999 - 2004, S.A.M., All Rights Reserved.